Though the name suggests specialists in spicy pork products, the Ginger Pig offers so much more. Beginning with their original shop at Borough Market in the 1990s, owner Tim Wilson has established a deserved reputation as one of the best butchers in town. All products, including pies, scotch eggs, and pates, are made from ingredients produced on their own Yorkshire estates. Livestock - including the largest herd of Longhorn cattle in Britain - are fed on homegrown barley, wheat and oats, ensuring standards are maintained at all levels of the food chain. Extending from the 'Larder of London' in Borough via Marylebone the latest branch's location in Hackney says something about the gentrification of the area. 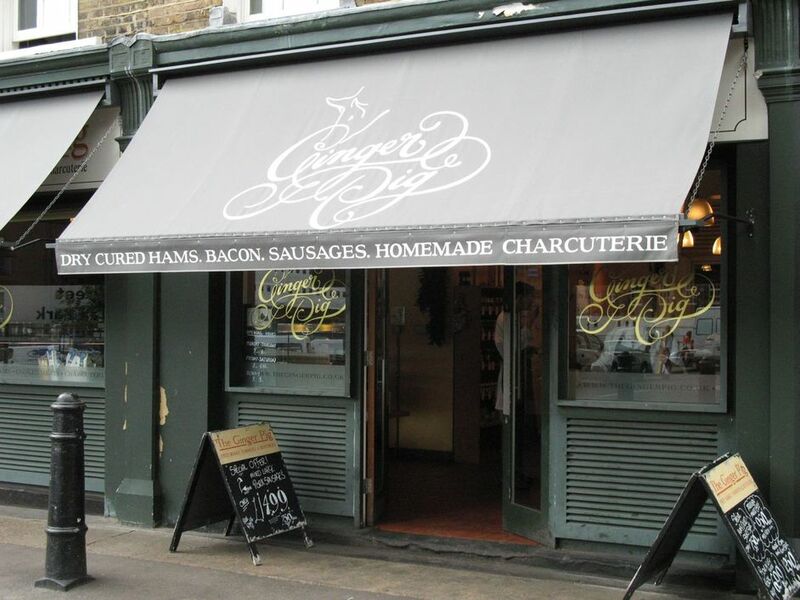 What are the best dining options near Ginger Pig London? Ginger Pig gyms, sporting activities, health & beauty and fitness. The best pubs near London Ginger Pig. Ginger Pig clubs, bars, cabaret nights, casinos and interesting nightlife. Where to have your meeting, conference, exhibition, private dining or training course near Ginger Pig. From cheap budget places to stay to luxury 5 star hotels see our special offers for Ginger Pig hotels, including Ace Hotel London Shoreditch from 84% off.